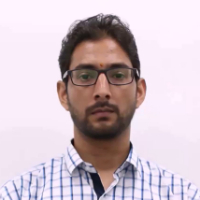 Yogesh Chandar Pandey graduated from HVB Garhwal University and after that he did his MA in History from Kumaun University. Working with HNN 24 7 as Print Media Editor. "After doing my graduation from HVB Garhwal University, I did my MA in History from Kumaun University and now working with HNN 24 7 as Print Media Editor."